I arrive early at Keyhaven. There is a little Ferry P that runs across to Hurst Castle and I want to catch the first trip over. There are not many people around. I head for the quay and I find the small ferry-boat. It is being well guarded by a fierce little black labrador – with a very waggy tail. I wait. The ferry man arrives. A second dog, an elderly retriever, joins us. Two ferry boys arrive; they are going to be dropped off at other ferry boats moored out to sea. Another man joins us; he is going to open up the visitor area of Hurst Castle. A young woman joins us; she is carrying carrier bags of bread and milk and works in the cafe at Hurst Castle (I think). An elderly man joins us; I don’t know what he is doing. The sky is overcast and the light is poor. But the scene is beautiful with boats moored on the calm sea and the Isle of Wight as a back drop. We set off and the young woman has to hold the young black labrador, whose name turns out to be Poppy. 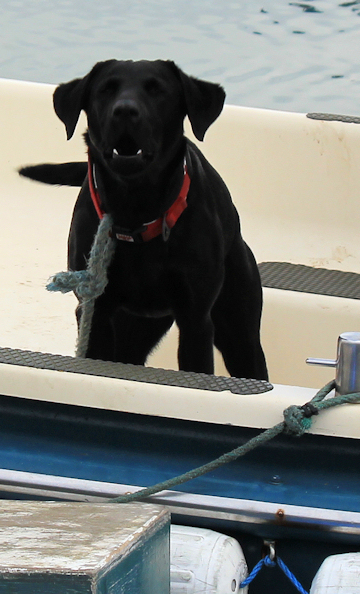 He is so excited, he threatens to jump off the boat. We have gone a few yards when someone shouts, “We’ve forgotten the dog.” The old retriever has been left behind. He is standing on the quay looking very disconsolate. We have to return to pick him up. The young woman is training to be a vet’s assistant. She makes a big fuss of both dogs. On the way over, the ferry buzzes with the friendly conversation of the passengers, all local people who know each other well. I take out my camera and, thinking I am a bird watcher, the other passengers proudly point out birds of interest. Unfortunately, I know little to nothing about birds. 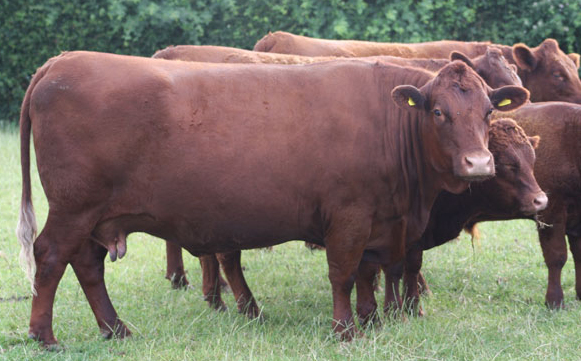 I nod politely and try to look suitably impressed by the variety of wild life on display. We nudge up alongside another ferry-boat, slightly larger than this one, and one of the young men leaps off. We dock at Hurst Castle and we all climb out of the boat. I am advised to wait a few minutes before going in, to give them a chance to open the place up. I don’t have the heart to tell them I don’t intend to visit the castle. Hurst Castle was built by Henry VIII in the 16th Century and once held King Charles I prisoner. It was re-fortified in the Napoleonic Wars and again for World War 2. From the landward side, the castle does not look particularly attractive. I walk around the outer walls. But am unable to complete the circuit. The tide is in and, on the seaward side, the sea laps against the walls of the castle. I have to turn back. The castle forms a long curved wall with a series of gun placements facing out across the narrow strait separating this finger of shingle from the Isle of Wight. This is a great position to place your guns if you want to guard one of the entrances to the Solent. The old gun placements are sealed off by metal doors. Time and tide and weather have done their best to destroy the metal. 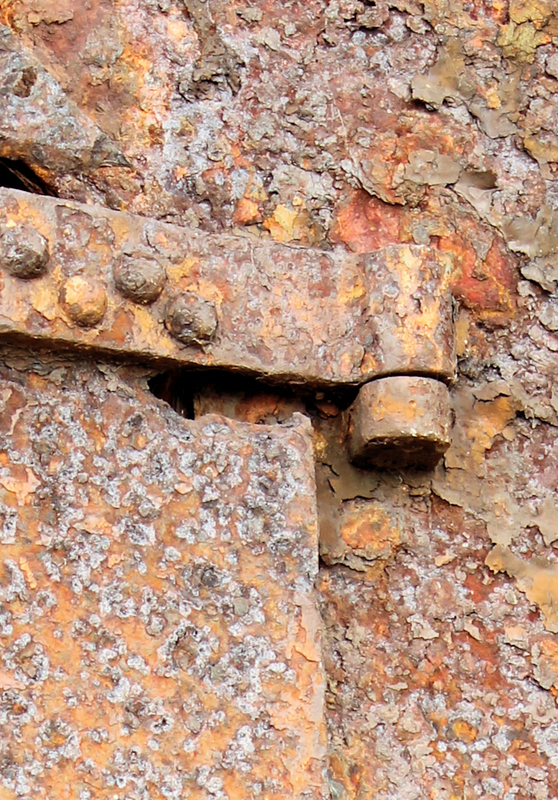 I take a photo of one of the doors – it has huge bolts and an amazingly rusty and flaked surface. At the far end of the shingle bank on which the castle stands, I come across a bird. It has ruddy-brown plumage and is somewhere between the size of a robin and a blackbird. It stands obligingly still and I am pleased I brought my telephoto lens. I take some wonderful photos. Later, I consult the excellent RSPB Bird Identifier, but am unable to work out what sort of bird this is. Before I leave the castle area, I come across a man poking a stick under a large rock. Thinking he might have found something interesting, like a snake, I ask him what he has discovered. It turns out he hasn’t found anything. He has lost his fishing stand. 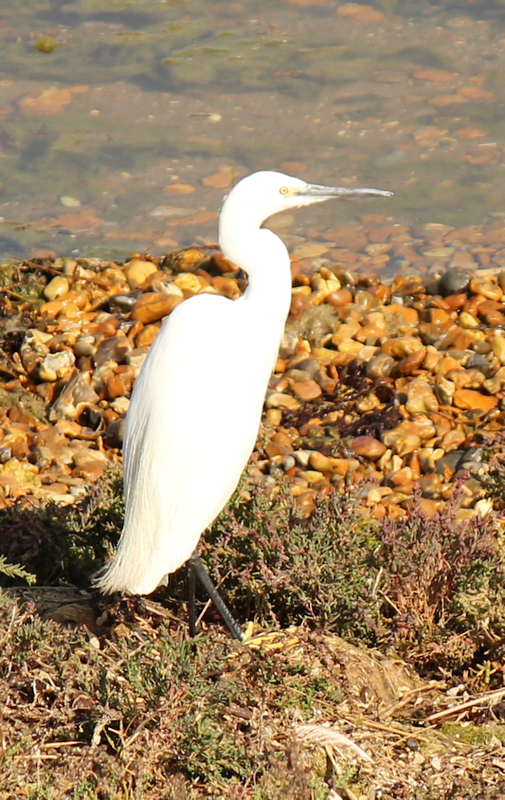 He keeps it hidden here to avoid having to carry it to and fro, along the shingle bank. But someone has stolen it. He also tells me this is the second time this has happened to him. To my immediate right is a marshy area of shallow water. There are ships moored further out, but near the bank I spot this Little Egret (one of the few birds I can actually recognise!). It is wading through the water, looking for breakfast. Hurst Castle stands at the bulbous end of a thin, curved finger of shingle bank, stretching a couple of miles into the sea. According to my walking rules, I didn’t have to journey down this narrow spit of shingle – it is a dead-end, after all. I could have simply walked across its neck, shaving a couple of miles off my walk today. But I couldn’t resist the Ferry ride out to the castle and I am glad I came. 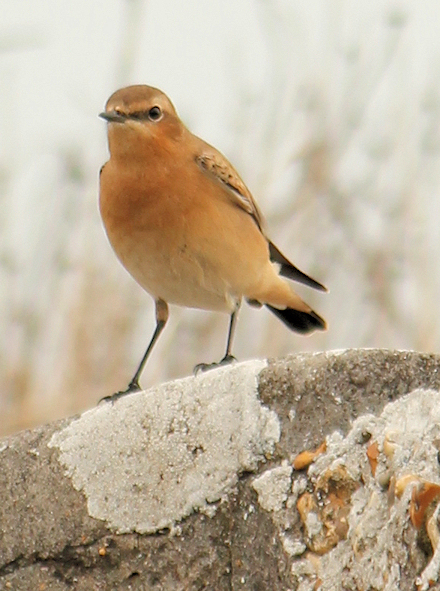 Later, some of my helpful Twitter friends tell me the bird I saw at Hurst Castle is a wheatear. If you look at the wheatear pictures on the RSPB site, you will see why I was confused. Annoyingly, I have seen a wheatear before – when I walked through Seaford, near Brighton – but I failed to recognise this one. I also learnt that ‘wheatear’ is Anglo-Saxon for ‘white arse’. You see, it is amazing what you learn on Twitter! Anyway, I send my grateful thanks to @pennybun and @firlebirds for their bird identification skills. 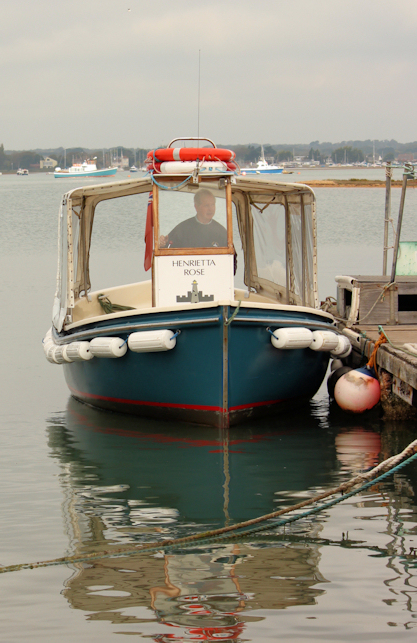 This entry was posted in 07 Hampshire and tagged coast, ferry, Hurst Castle, travel, UK. Bookmark the permalink. I have no idea what that bird is, but the pictures are beautiful! Thank you! I have since found out what the bird is called – a wheatear. 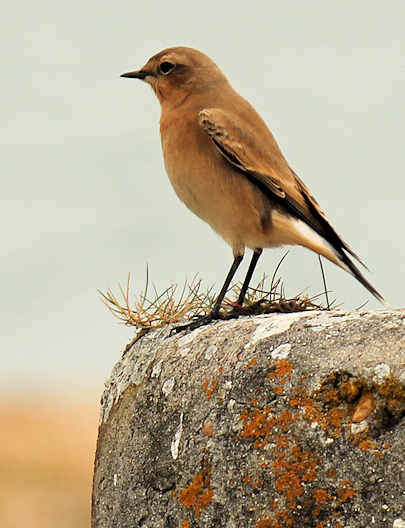 Beautiful photos of the wheatear. 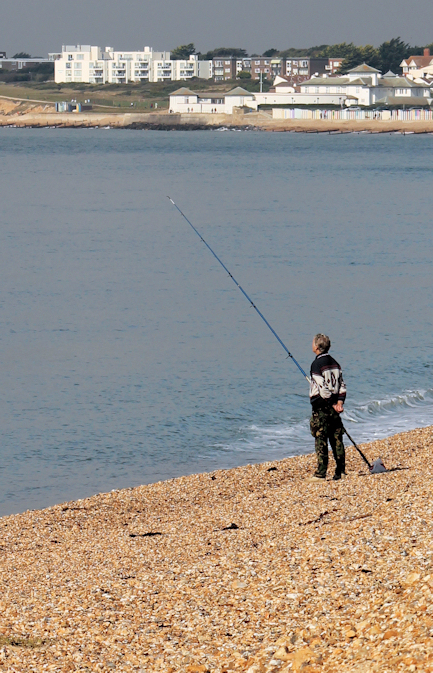 The only place I’ve ever seen one is very near to Hurst – the sea wall at Lymington where you were yesterday! I’ve also seen kingfishers there but I’m sure you would have mentioned it if you’d seen one of those!